Expertise that accelerates customer success. Our deeply experienced team has roots in leading technology companies such as Google, Nutanix, VMware, Palo Alto Networks, NetApp, Data Domain, Cisco, and EMC. Mohit Aron has more than 15 years of experience building scalable, high- performance distributed systems, and has been attributed as the father of hyperconvergence. Aron founded his current company, Cohesity, in 2013 and co-founded Nutanix in 2009. Prior to co-founding Nutanix, Aron was at Google as a lead developer on the Google File System engineering project. Among many prestigious awards Cohesity has received since its inception, Cohesity was named by the World Economic Forum (WEF) as one of the world's 61 most promising Technology Pioneers 2018. Aron graduated with a Ph.D. in Computer Science from Rice University with a focus on distributed systems. He holds a Bachelor of Science in Computer Science from the Indian Institute of Technology, Delhi India. Rob brings 30 years of enterprise GTM experience to Cohesity. Prior to Cohesity, Rob was President and Head of Go To Market Operations for NetApp responsible for all customer facing functions. Joining at the early startup phase, Rob helped grow NetApp to $6.5B in his 22 years. Before NetApp, Rob held sales positions at Sun Microsystems and Data General Corporation. Rob holds a BS in Computer Science from Chico State University. Rob is passionate about driving customer success, building great teams, and making an impact. Rob serves on the board of Special Olympics Northern California, and as an advisor to the Asian American Donor Program (AADP) for the National Bone Marrow Registry. Mark leads all worldwide sales functions at Cohesity. Prior to Cohesity, Mark was Vice President of Americas Sales at Nimble Storage. He expanded sales to large, global organizations in the Americas, while leveraging the company's channel ecosystem to grow its commercial customer base to over 8 thousand customers. Over the course of his tenure at Nimble, annual revenues tripled. As Chief Marketing Officer, Lynn leads the global marketing function driving customer experience and accelerating adoption of Cohesity's solutions. Lynn brings 25 years of marketing experience for high technology B2B organizations. 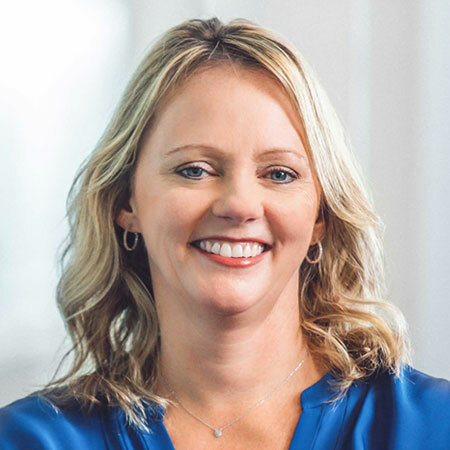 Prior to joining us, Lynn was CMO at Veritas where she led the new branding and successful repositioning as a multi-cloud data management company after separation from Symantec. Before Veritas, Lynn served as CMO at Good Technology where she led global marketing, culminating in a sale to Blackberry to establish their mobile security software platform. Prior to Veritas, Lynn was with Cisco Systems, where she served in various executive roles, most recently as Vice President, Global Collaboration Marketing leading marketing for the $5B collaboration business encompassing telepresence, unified communications and WebEx. Lynn holds a B.S. in Electrical Engineering and Computer Science from the University of California, Berkeley. As Chief People Officer, Paul leads the team driving the key people strategies for Cohesity including talent acquisition, talent development, culture, engagement and people operations. Paul recently held a similar role at Databricks, and previously at Infinera and Nimble Storage where he was a key member of the exec teams that led both companies through successful IPOs and multiple years of revenue and headcount growth. Paul is originally from the UK and holds an M.Sc. and B.Sc. in Management Science from the University of Aston. Vineet has 15+ years of experience building distributed systems. 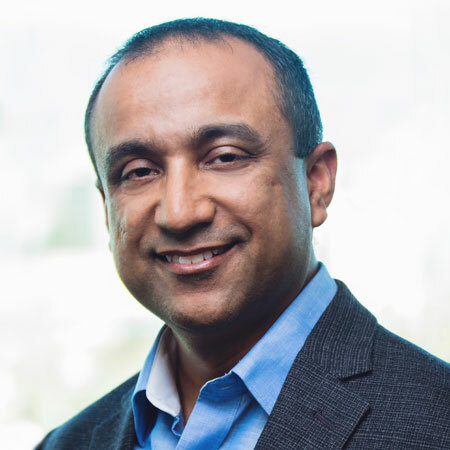 Prior to Cohesity, Vineet was Senior Vice President, Engineering at Riverbed where he was responsible for strategy and execution for Riverbed's core products. He built a global engineering team and helped pivot the company into new market segments. Before that, he held various leadership roles at Brocade where he helped build and launch several data center networking products. Lorenzo is a seasoned operations veteran with over a decade of experience leading go-to-market strategy for top technology companies. 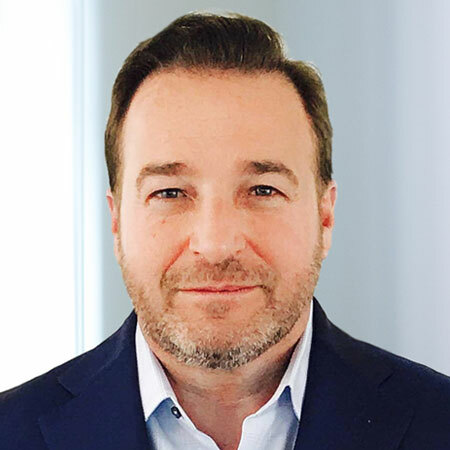 Prior to joining Cohesity, Lorenzo was the Sr. Director of Sales Operations and Go-to-Market Strategy for emerging businesses and indirect channels at VMware where he established, from the ground up, the sales operations of VMware Cloud Services. Lorenzo also held senior strategy positions at EMC and RSA and earlier in his career, he was a senior principal at the Boston Consulting Group where for 10 years he advised CXOs of Fortune 500 corporations across technology, industrial and pharmaceutical sectors. Lorenzo holds a degree in Physics from the Scuola Normale Superiore di Pisa and an MBA from the Massachusetts Institute of Technology, Sloan School of Management. Apurv is passionate about building highly scalable systems. His career spans Bell Labs, several startups including GreenBorder (acquired by Google), and over 8 years at Google. He was also the Co-founder of ArkinNet. His most recent work includes architecting the current Search Ads Backend and redesigning the Ads Reporting Backend at Google, and building a NLP search engine for simplifying datacenter management at ArkinNet. Apurv holds a B.Tech. from Indian Institute of Technology, Kanpur. 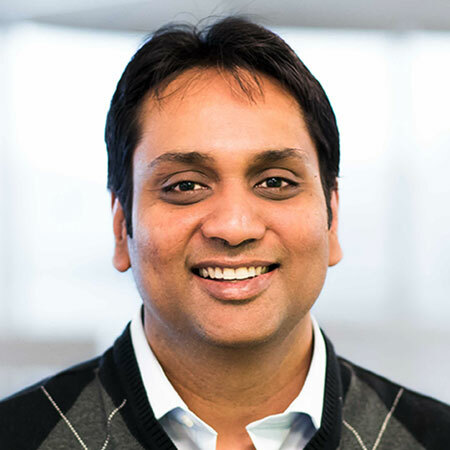 Raj brings 10+ years of experience leading product teams. Prior to Cohesity, Raj led product management at SentinelOne and at Cylance. At Cylance, he was part of the exec team that scaled revenues from 0 to $200M in 3 years. 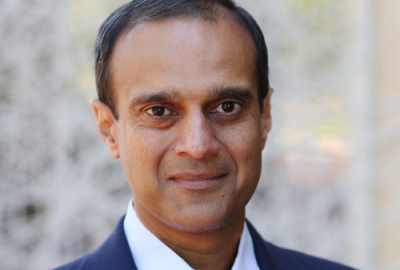 Raj also held leadership positions at Marketo and Solidcore, acquired by McAfee. Stacey Cast brings 20 years of experience leading business operations. As VP of Business Operations, Stacey leads IT, supply chain, manufacturing, logistics and facilities. Stacey brings a wealth of operational expertise to help build out our infrastructure as we drive to be a $1B business. Prior to Cohesity, Stacey served as Vice President of Operations and IT at Nimble Storage. Before that, she was VP of Global Planning and Logistics at SunPower, and spent 14 years at NetApp, beginning pre-IPO. 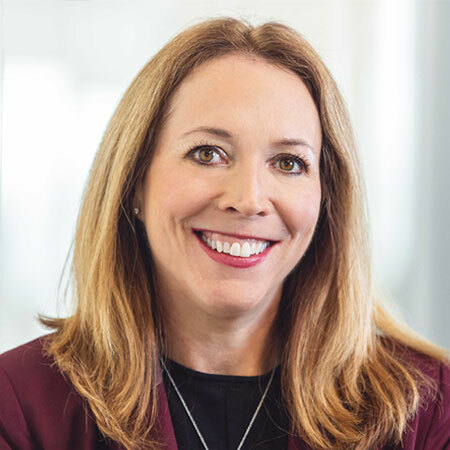 At NetApp, Stacey served in various capacities across Operations, Customer Service, and lastly as Vice President of Sales Operations. 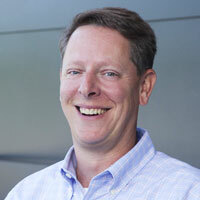 Andy brings 20 years of experience building world class support and services organizations. Prior to Cohesity, Andy was Vice President of Services Operations at FireEye responsible for support and security as a service. Prior to that Andy was Vice President of Support and Services for Data Domain later acquired by EMC, helping scale the business from $300M to over $1B. 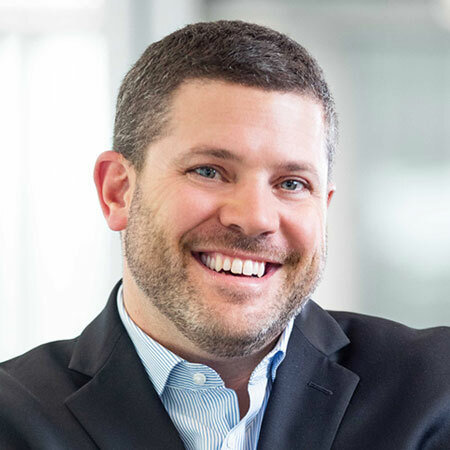 Andy's prior roles also include Vice President of Engineering Operations for the Backup and Recovery Division at EMC, Director of Product Management at VERITAS and General Manager of Multivendor Support for HP. Andy holds a Masters in Engineering from Stanford and a BS from Santa Clara University. With nearly three decades in information technology and business development, Terry delivers results with relentless drive. Before joining the Cohesity team, Terry ran Business Development for Palo Alto Networks from pre-IPO to a leader in the security space. Terry held similar roles at RSA, Qualys and VeriSign where he honed his skills in building dynamic alliances. Terry is co-author of PCI Compliance for Dummies and co-inventor of the Dynamic Hierarchical Tagging System and Method patent. He is a family man with four bright, successful daughters and is passionate about supporting local non-profits and giving back to his community. Michael bring 20 years of experience in leadership roles driving market disruptions through product and go-to-market innovations. Prior to joining us, Michael was the head of Cisco’s Corporate Development and Investments team focused on infrastructure software across datacenter & cloud. In that capacity, he led the expansion of Cisco’s product portfolio through acquisitions, investments & partnerships, focusing on disruptive software and subscription models. Prior to Cisco, Michael held senior positions as an executive, venture capitalist and operator, driving multiple technology companies to scale. Michael holds a degree in Economics from Yale University, where he was a member of a national leading NCAA Rowing program. Tim heads the legal function for Cohesity, bringing 20 years of experience in problem solving and supporting the legal and intellectual property needs of fast-paced technology companies. Tim began his legal career doing corporate and securities work for tech clients and venture capital firms at Gunderson Dettmer. He later served as the General Counsel at Good Technology and as the SVP of Licensing at Openwave. Tim holds a bachelors in economics from UCLA and a Juris Doctor from the University of Virginial School of Law. Our Board of Directors oversees our executives in creating company value. Our board represents both independent and investor experts. It also includes our founder. Mohit Aron has over 15 years of experience in building scalable, high- performance distributed systems, and has been attributed as the father of hyperconvergence. Aron founded his current company Cohesity in 2013 and co-founded Nutanix in 2009. Prior to co-founding Nutanix, Aron was at Google as a lead developer on the Google File System engineering project. In July 2016, CRN recognized Cohesity on the list of 10 Storage Emerging Vendors You Need To Know and listed as one of the Top 25 Disruptors of 2016 in August 2016. Bill is a technologist specializing in large-scale computing and networking systems with general management experience. 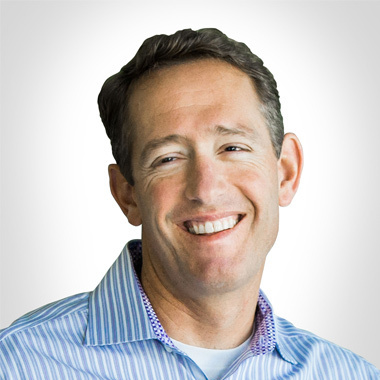 Bill joined Sequoia Capital in late 2011 where he works as a partner and coach to founders and help them build effective technology-centric organizations; while at Sequoia, he served as an advisor to Google until 2015. His career in computer science spans more than two decades. He began his post-graduate career starting with individual research contributions in computational science and engineering (for semiconductor and circuit simulation, Raman optical amplifiers, convective fluid flow) and computer systems. 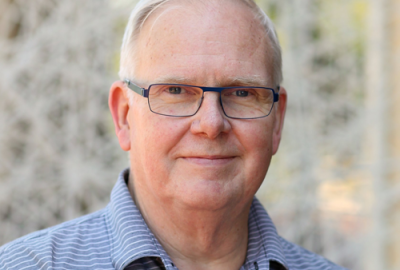 Bill helped create and guide the development of numerous distributed systems, IP security projects, and applications of modeling and formal verification methods as well as converged (voice/data) network software, access, and switching products. More recently, he has contributed to large-scale Web service systems and products as well as client software. Now, he is an investor in and coach for developing companies. Bill holds a B.S.& M.S. mathematics from the California Institute of Technology and a M.S. & Ph.D. in computer science from Stanford. Gaurav Garg is a Founding Partner of Wing. He has led investments in a number of early stage technology companies and currently serves on the boards of Ruckus Wireless (NYSE: RKUS), FireEye (Nasdaq: FEYE), MobileIron (Nasdaq: MOBL), Jasper, Shape Security, Instart Logic, Cohesity, Apprity and previously Netscaler (acquired by CTXS). He has helped build Ruckus and FireEye over 10 years each from incubation into public companies, and he incubated Jasper and Instart Logic from concept stage. Gaurav was a partner at Sequoia Capital from 2001 to 2010, and a Special Limited Partner from 2010-2012. He worked extensively with Sequoia Capital's investments in Aruba Networks (Nasdaq: ARUN), Jawbone (aka Aliph), and RingCentral (NYSE: RNG). 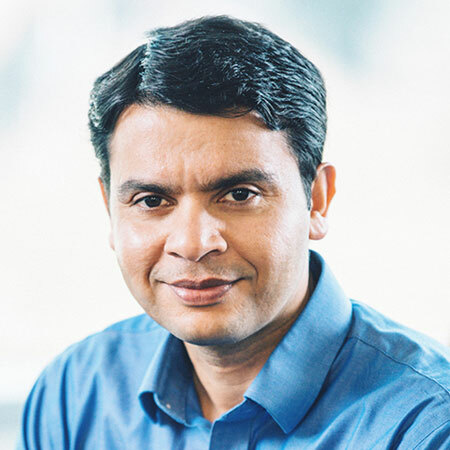 Prior to joining Sequoia Capital, Gaurav founded Redback Networks (Nasdaq: RBAK) in 1996, and served as a board member and Senior Vice President of Product Management. Prior to Redback Networks, Gaurav held various engineering positions at SynOptics and Bay Networks. 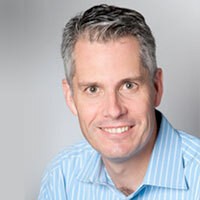 Dan Warmenhoven is the former executive chairman and CEO of NetApp. 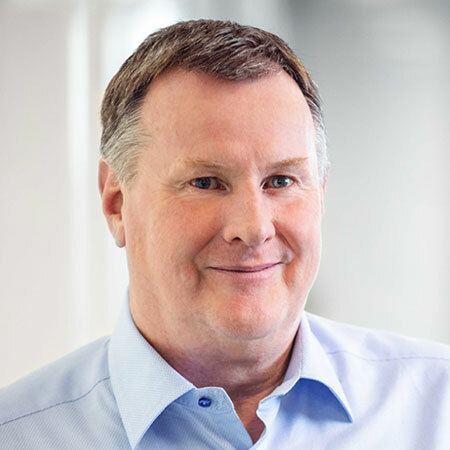 Dan served as chief executive officer from 1994 to 2009 and executive chairman of NetApp from 2009 to 2014. 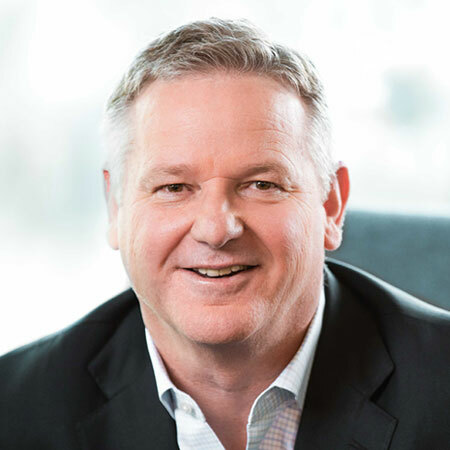 Under Dan's leadership, NetApp grew to become a multibillion-dollar company and a recognized market leader in networked storage, a concept the company pioneered. Dan led the company's initial public offering in November 1995. NetApp is consistently listed in the top 20 of FORTUNE magazine's 100 Best Companies to Work for in America and was ranked #1 in 2009. NetApp is also included in FORTUNE magazine's "World's Most Admired Companies" and "America's Largest Corporations" lists as well as in Forbes magazine's "400 Best Big Companies in America" list. NetApp is included in both the S&P 500 and the NASDAQ 100 indexes. 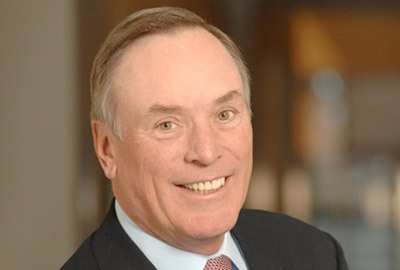 In August 2009, Dan received the Morgan Stanley Leadership Award for Global Commerce. He is a director of Bechtel Group, Inc. and Palo Alto Networks. Dan is also on the board of the Tech Museum of Innovation as well as a trustee of Bellarmine College Preparatory, both in San Jose, California. In June 2007, Dan received an honorary degree from Santa Clara University for his dedication to global business and technology leadership and in 2006 was named one of the "50 Most Powerful People in Networking" by Network World. In 2004, he won the prestigious "National Ernst & Young Entrepreneur of the Year" award, and in 2001 BusinessWeek named Dan one of its "Top 25 Managers" for the year. Previously, Dan served as chairman, president, and CEO of Network Equipment Technologies (N.E.T. ), a telecommunications manufacturer. He is a veteran of Hewlett-Packard Co. (HP), where he held senior management positions, including general manager of the Information Networks group. Prior to working at HP, Dan was employed for 13 years at IBM Corporation. Jonathan Chadwick has over 30 years of experience both in the US and the UK and has lived in Silicon Valley for the past 25 years. He has worked for some of the most iconic technology companies including McAfee, Skype, Cisco Systems and VMware, where he served as executive vice president, chief operating officer and chief financial officer throughout his four years there, and has a broad background in strategy, mergers and acquisitions, operational and financial management and has extensive team leadership experience. Chadwick is currently a board member and advisor to a number of public and private companies including Cognizant, F5, and ServiceNow and some of Silicon Valley’s fastest-growing companies, such as Elastic, Tanium and Zoom. Chadwick is a Chartered Accountant in England and holds an honors degree in electrical and electronic engineering from the University of Bath, UK. 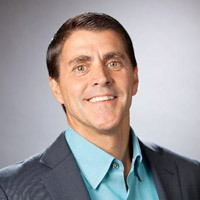 Carl Eschenbach is a partner at Sequoia, where he focuses on infrastructure technologies, cloud, and SaaS. 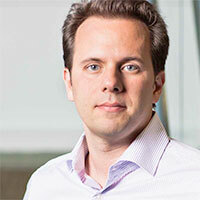 He also provides operating expertise to Sequoia's portfolio companies. Prior to Sequoia, Carl was President and COO of VMware, where he helped grow the company from $31M in his first full year to $7B in revenues and from 200 people to 20,000. 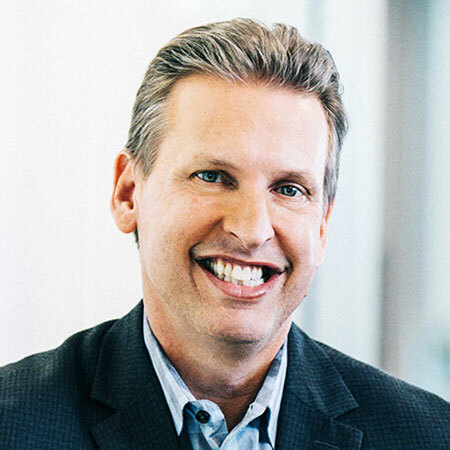 Prior to joining VMware, Carl was Vice President of North America Sales at Inktomi, and held various sales leadership positions with 3Com, EMC and Lucent Technologies. He is passionate about leadership, culture and values of both teams and companies. Paul leads Hewlett Packard Pathfinder, HPE’s venture investment and solutions program, and is responsible for driving Pathfinder’s charter of Insights, Investments, and Solutions. He currently serves as a board observer with Barefoot Networks, Shape Security, Synack, Cohesity, Hedvig, and Fungible. Before Xova, Paul was a Director in the Corporate Development group at Cisco Systems where he focused on acquisitions, strategy, and venture investments. Paul’s areas of responsibility included Security, Small Business, SaaS, and Borderless Networking portfolios. Notable transactions include Cisco’s acquisitions of IronPort, MI Secure, and ScanSafe, and investments in ActOn, Appfolio, RingCentral, Guardium, and Mashery. Paul joined Cisco in 2001 as member of the Corporate Finance team. Karim leads GV's investments in enterprise software, data analytics, and security. He brings over a decade of operational and investment experience to his role. He initially joined Google's corporate development team in 2008, the group responsible for all mergers and acquisitions and has been at GV since inception. Prior to Google, Karim was a venture capitalist at Atlas Venture, where he worked on investments in software and Internet infrastructure. Previously, he was director of New Ventures at Level 3 Communications, responsible for evaluating new business opportunities and has led product development for the company's voice services. 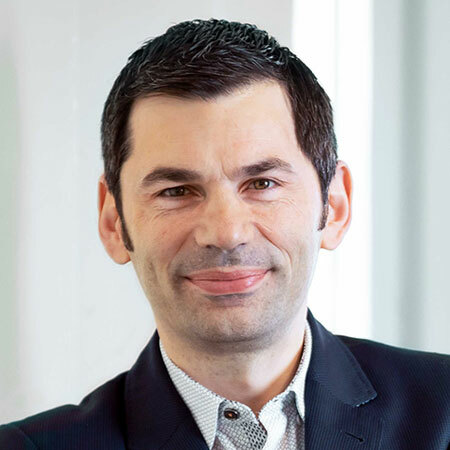 Earlier in his career, Karim held various product and marketing roles at Intel, initially on the i486™, and later as product manager for the Pentium® Processor. He started his career at Siemens as a software engineer working on the first vehicle navigation system for BMW. 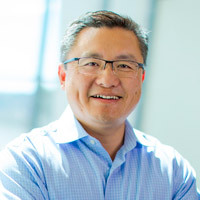 Quinn Li is Vice President & Global Head of Qualcomm Ventures. In this role, Quinn oversees Qualcomm's $1 billion strategic venture investment portfolio of over 140 investments. He currently serves as a board member or observer in AMEC, Brain Corp, Enovix, OneWeb, Placemeter, RetailNext, Streetline, Tango, and Verve Wireless. Previously Quinn has led investments in A123 Systems (AONE), Consert (acquired by Landis+Gyr), InvenSense (INVN), PowerCloud Systems (acquired by Comcast), and Siimpel (acquired by Tessera). 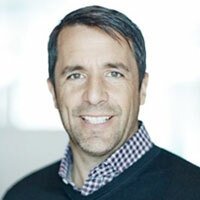 Stuart Peterson is the Co-founder and a Senior Partner of ARTIS Ventures. Before forming ARTIS in 2001, Stuart was a Managing Director of The Cypress Funds, where he was responsible for the firm's technology sector investments and strategy. Stuart was a Vice President and Co-Portfolio Manager with Portfolio Advisory Services, focused on growth company investment management. Stuart currently serves on the board of directors for Stem CentRx, a stem cell centric cancer therapy company. He is also a board advisor for Omicia, a genomic interpretation platform. Stuart currently serves on the Board of Trustees for the SF MOMA and is actively involved in the Tipping Point Community and MCDS. Stuart received his B.A. in Economics from the University of California, Los Angeles and his M.B.A. in Analytic Finance from The University of Chicago's Graduate School of Business. Strategic advisors offer marketplace insight that inform our solutions and roadmap. Some of the brightest minds and most successful technology executives are guiding Cohesity. 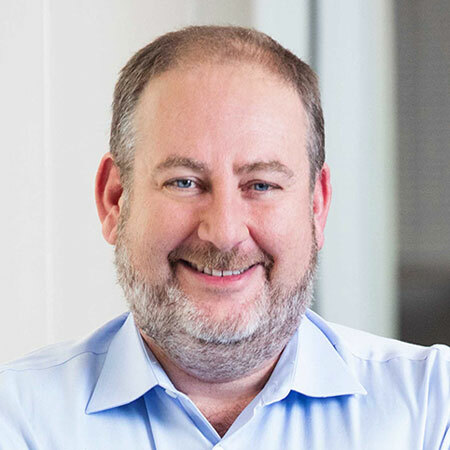 As chief commercial officer, Alan leads Illumio's go-to-market strategy and customer engagement life cycle organizations, including marketing, support, and talent. He is a 25-year technology veteran known for company building and new-market-creation experience. Alan's prior two companies, Airespace (acquired by Cisco for $450 million) and Nicira (acquired by VMware for $1.26 billion), were the market leaders in centralized WLANs and network virtualization, respectively. Brett has more than 20 years of experience working in security and networking startups and managing customer-facing technical organizations. He was most recently EVP of Global Customer Services at Palo Alto Networks. Previously, he was responsible for product management and marketing at Infoblox, led the enterprise systems engineering team at Juniper, and managed worldwide field engineering at NetScreen. Brett holds an MBA and BSEE from Cal Poly. BV Jagadeesh is Managing Partner at KAAJ Ventures that focuses on early stage investments and mentoring. Jagadeesh has successfully invested and guided companies such as NetMagic Solutions (acqd: NTT), Ocarina Networks (acqd: Dell), Ankeena (acqd: Juniper), Nutanix, Yodlee (2014 IPO), Edurite (acqd: Pearsons) to name a few. 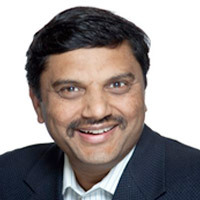 Before founding KAAJ Ventures, BV Jagadeesh served as a founding investor and CEO of NetScaler. NetScaler pioneered the concept of Application Delivery and was successfully sold to Citrix for $325M and served as Group VP and GM for Citrix's Application Networking division. Prior to Netscaler, he co-founded and served as CTO of Exodus communications in 1993 that pioneered the concept of Internet data centers. Jagadeesh was instrumental in the successful IPO of Exodus in 1998. 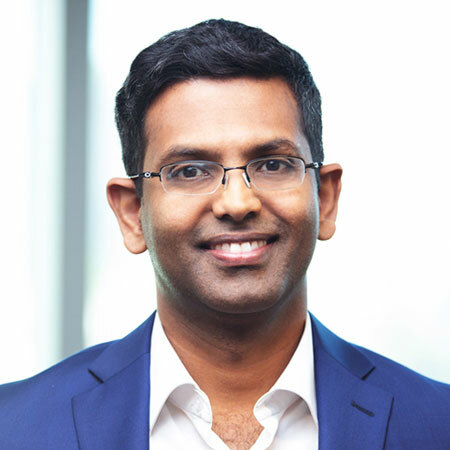 Jagadeesh's current investments and board positions include Arkin, MobileForce, CloudVelox, ScaleArc, V5 Systems, HeadSpin, Attivo. Numerify, UnitedLayer, InfoStretch and CloudHarmonics. 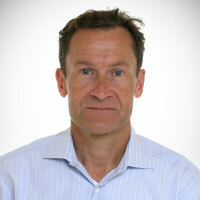 Eric Wolford is from New York and joined Accel in 2014. 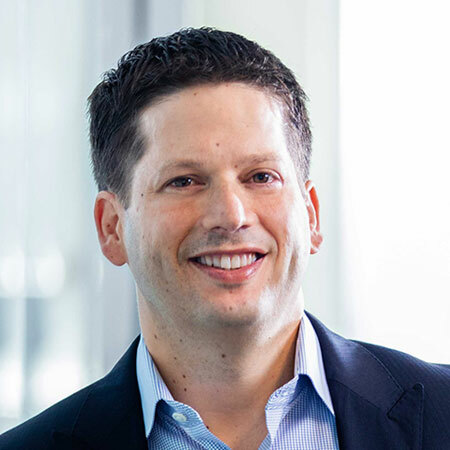 Eric spent years in a variety of product and management roles at FastForward Networks, Inktomi, and most recently, at Riverbed where he was president of the products group. There, he oversaw the growth of Riverbed's flagship WAN optimization and app acceleration platforms, which grew to be a $1B+ business. He leverages his deep infrastructure and IT experience by working with founders across the enterprise stack, from next-gen analytics platforms like Jut, to emerging cloud security and threat detection companies like Netskope and Vectra. 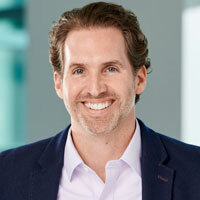 Eric co-leads the Accel Tech Council, and also serves on the board at BitTorrent. 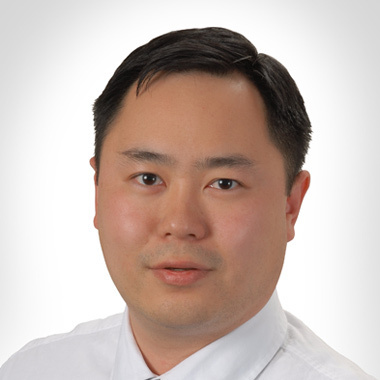 David Wu is a seasoned entrepreneur with deep experience in enterprise infrastructure technology. David was most recently the Chief Technology Officer at Riverbed Technology, a company he joined as part of the founding team in 2003. During his 12 years at Riverbed, David was responsible for the technical vision and strategic direction for the company as well as all operations of both the research and product development teams. David's technical innovations led to several ground breaking, award winning products in the enterprise networking and storage space which helped to take the company public and grow from 0 to over $1B in revenue. 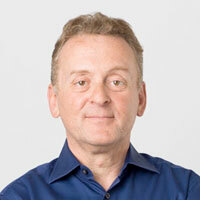 Prior to Riverbed, David has held various engineering leadership positions at netVmg, Inktomi, and FastForward Networks. David has over 20 patents issued or pending relating to networking, storage, programming languages, and databases. David holds a B.S. in Computer Science and a M.S. in Computer Science from the University of California, Berkeley. Take your career to the next level at Cohesity.